Developed by Core Design Ltd.
Coding by Simon Phipps. Graphics by Simon Phipps and Terry Lloyd. Music and sound effects by Ben Daglish, David Pridmore, Simon Phipps and Terry Lloyd. Other miscellaneous bits by Bob Churchill, Rob Toone, Simon Phipps and Terry Lloyd. AMSTRAD CPC conversion by David Pridmore. COMMODORE 64 conversion by Stuart Gregg with music by David Pridmore. DOS conversion by David Pridmore and Stuart Gregg, with art by Terry Lloyd. SINCLAIR ZX SPECTRUM conversion by Terry Lloyd. 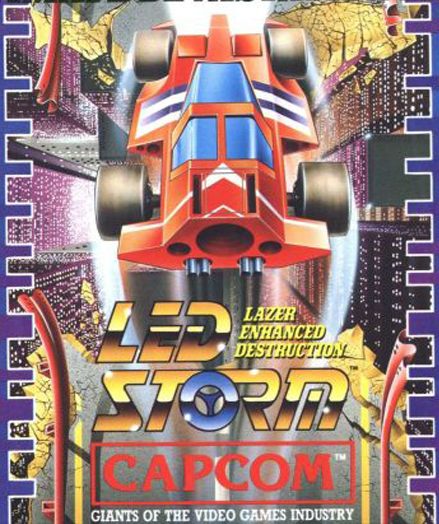 Published for the European market by Firebird Software Ltd., and for the North American market by MicroPlay Software in 1989. Unofficial conversion for the MSX2 by Paragon Productions in 1992. Another unofficial conversion for the ACORN ARCHIMEDES by The Hitmen Software in 1995. Remade for the 128k AMSTRAD CPC+ computers in 2009 by Carl-Stephane Berquez, BDC Iron and MacDeath. One of the most important platforming games of the late 80's was born alongside the hype of what was at the time supposedly final part in the series of Indiana Jones movies - the Last Crusade. 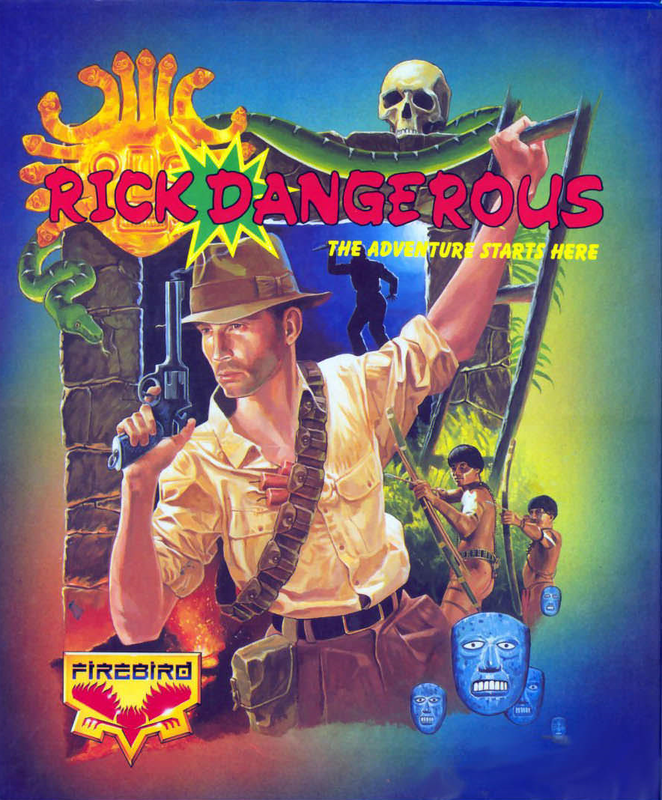 Rick Dangerous did what hadn't been properly done before: it brought the action aspect of Indiana Jones successfully into computer games - much more so than Montezuma's Revenge. All the official Indy games had been more or less half-arsed attempts, but Rick Dangerous was made as a humorous, although playable and challenging tribute to everyone's favourite archaeologist. The style of the game was familiar to most 80's gamers, of course, since most of Core Design, the team behind the game, had been former employees of Gremlin Graphics. Such a success the game turned out to be, that it spawned not only a sequel, but worked as the basic blueprint for the same company's greater success formula in Tomb Raider. But let's focus on the original, shall we. Written for the Atari 8-bits and Commodore 64 by John Anderson. Released for the Atari 8-bits through Adventure International in 1983, and for the Commodore 64 through Commodore International in 1984. Written for the Atari 8-bits by Alex DeMeo. Converted for the Commodore 64 by Alex DeMeo and Kevin Kalkut. Converted for the Apple ][ by Ivan Manley for Synergistic Software Inc. 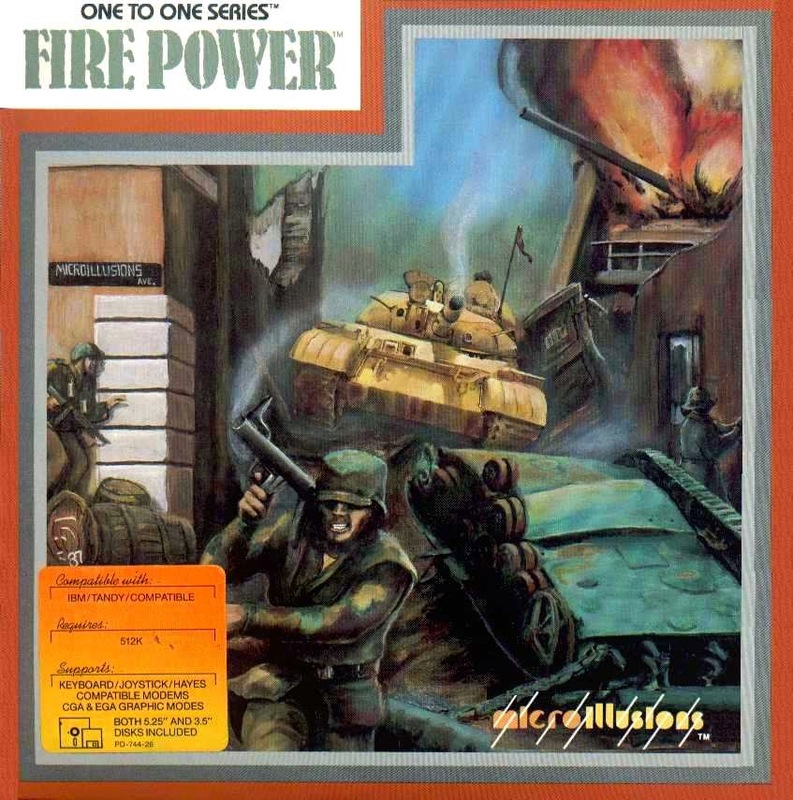 Published by Activision in 1985. Because of the current controversies with Top Gear, I got myself in a bit of a racing mode, so decided to hurry up my work on this two-for-one entry, which is another thematic one, similarly to the last couple of twofers. 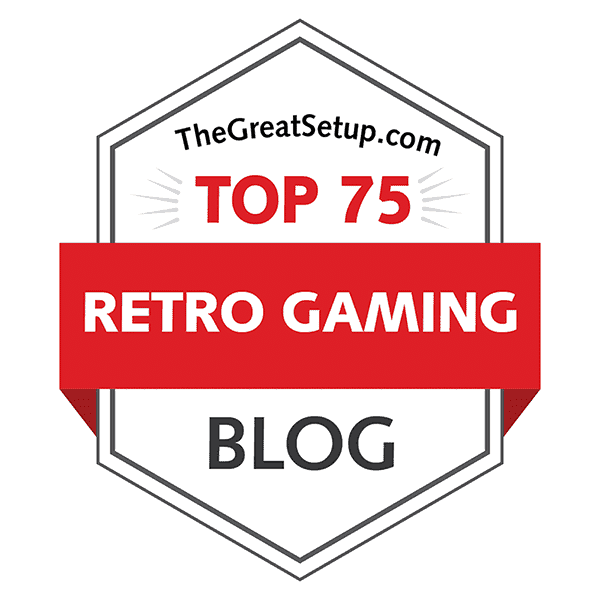 Actually, my original idea was doing another Format Wars article for the RESET magazine about Rally Speedway, but I had already done a versus battle against the Atari too recently, so I took a long and hard thought about what should I lump to go with it. 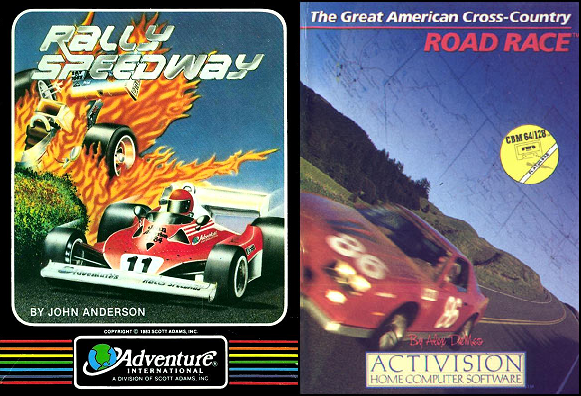 Another John Anderson game would have been a great choice, but since Arex was just barely available for the C64, and it could only be played with a lightpen of all things, I went for a more comfortable choice instead, and took another racing game, which I had at some point considered for Format Wars: The Great American Cross-Country Road Race (a bit of a mouthful, isn't it?) from Activision. Both games have something else in common to make it even more fitting for a twofer, but more on that later on.